Whether you're the project manager for your company's rebrand, or you need to educate your staff or your students about brand fundamentals, Designing Brand Identity is the quintessential resource. From research to brand strategy to design execution, launch, and governance, Designing Brand Identity is a compendium of tools for branding success and best practices for inspiration. 3 sections: brand fundamentals, process basics, and case studies. Over 100 branding subjects, checklists, tools, and diagrams. 50 case studies that describe goals, process, strategy, solution, and results. Over 700 illustrations of brand touchpoints. More than 400 quotes from branding experts, CEOs, and design gurus. "Designing Brand Identity is a comprehensive, pragmatic, and easy-to-understand resource for all brand builders—global and local. It's an essential reference for implementing an entire brand system." "Alina Wheeler explains better than anyone else what identity design is and how it functions. There's a reason this is the 5th edition of this classic." "Designing Brand Identity is the book that first taught me how to build brands. For the past decade, it's been my blueprint for using design to impact people, culture, and business." 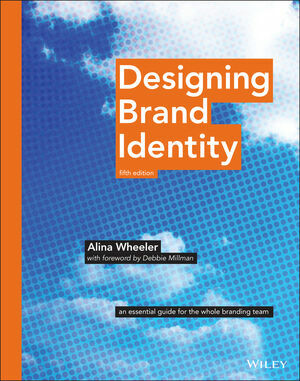 "Alina Wheeler's book has helped so many people face the daunting challenge of defining their brand." "If branding was a religion, Alina Wheeler would be its goddess, and Designing Brand Identity its bible." "The 5th edition of Designing Brand Identity is the Holy Grail. This book is the professional gift you have always wanted." Branding consultant whose clients have included Vanguard, Berwind, Advanta, Guardian, and IBM; Author of Brand Atlas: Branding Intelligence Made Visible, along with the past best-selling editions of Designing Brand Identity; Member of the advisory council for The Dictionary of Brand along with Seth Godin, Al Ries, Tom Kelley, and Hugh Dubberly; Frequent speaker to executives, practitioners and students around the world.